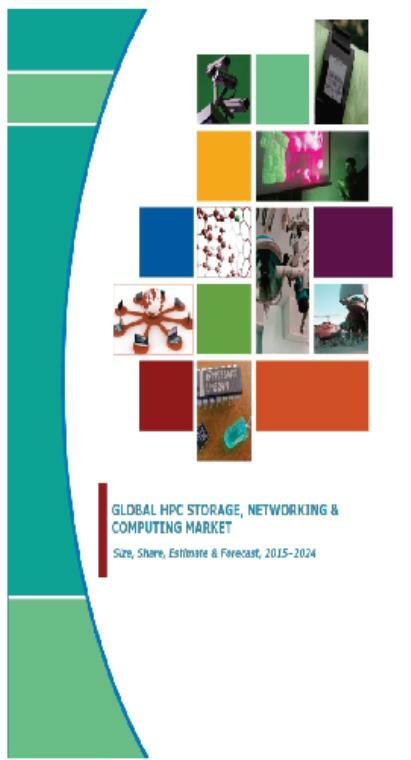 DUBLIN, IRELAND--(Marketwired - March 07, 2016) - Research and Markets has announced the addition of the "Global HPC Storage, Networking & Computing Market, Size, Share, Estimate & Forecast, 2015-2024" report to their offering. With an expected CAGR of 6.05% between 2015 and 2024, the global HPC technology market value is predicted to reach USD 45.81 billion by 2024. This predicted growth is due to the increased demand for Big Data, analytics and high performance computing on cloud technology. Enterprises are spurring growth and gaining competitive advantage by integrating HPC and Big Data in their business models for a wide variety of applications. Global HPC Storage, Networking & Computing market is segmented by application, price band, deployment and geography. Each segment of the market covers major sub-segments contributing to the HPC market revenue. The niche sub-segments are also covered and considered to evaluate the market value and growth potential.